Google is the number-one source of website traffic. It’s also the number-one source of new patients. But only if your website is effectively optimized for search engines. Search engine optimization (SEO) is crucial to improving your online visibility. However, when it comes to getting patient-ready visitors to your site, a local strategy is essential. Learn below how a sound local dental SEO strategy will help prospective new patients – who have yet to hear about you – discover your practice online. SEO can be a trying practice in itself. When targeting a local audience, it can be even more challenging. You’re probably familiar with popular search engines like Google and Bing. But did you know that each of these search engines have their own local search function? 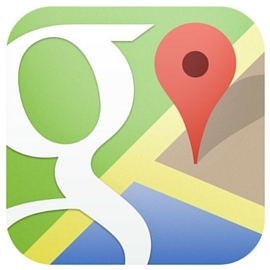 Local search engines are databases of geographical information that pertain to local businesses. These databases comprise listings that contain basic information about a business. The listings, like you would see in Google Maps, include your practice’s contact details and a map of your office location. Say that you practice in Corpus Christi, and you specialize in orthodontics. Ideally, your listing will show up when someone searches something like, “orthodontist in Corpus Christi.” Such visibility could translate into highly qualified visitors to your website. Think about it: These are local residents searching for your specific services offered near your office. Arguably the most important component of local dental SEO is the trinity of information known as NAP (name, address, and phone number). Local search engines have to validate your existence. In order to do so, they must ensure that all the data aligns. There are hundreds of places around the Web where your website can be mentioned. These places are called “citations.” A citation is an online reference to your practice on a third-party website. The key is not only to find these places, but to list correct information. Be sure that your practice name, address, and phone number are accurate and consistent throughout your website and on external sites like Google, Yelp, and Facebook. This includes every minor detail. On-page SEO conforms to many traditional SEO tactics. It is the practice of optimizing the content and HTML information on individual pages throughout your site. Meanwhile, off-page SEO refers to techniques you do away from your site to improve your ranking search results. There’s a large weighting towards on-page content in local search results. So it’s important that, where appropriate, you squeeze the most value out of your content. Title: Google shows up to 70 characters (including spaces) of a page’s title in its search results. Description: Google shows up to 156 characters (including spaces) of a page's description tag. The description tells what your page is about. Website content is also important. 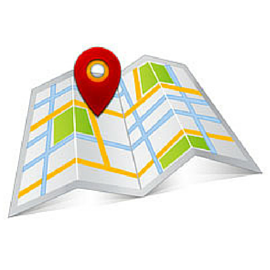 Include your location and dental specialties on your site in as many places as it makes sense. But don’t overdo it. Any keyword added to a page must appear natural. Degrading the integrity of your content with over-optimization is bad for the user and your SEO. Review websites: Getting listed on sites like Foursquare and Yelp builds confidence from local search engines. Local directories: Targeting a specific geographic area, local directories like Best of the Web are well-indexed by local search engines. Industry directories: In addition to getting more of your NAP data indexed, quality dental-related directories show search engines what your website is about. Much of local SEO is under your control. You create your listings. You optimize your website. And on and on. But there’s a big component you don’t have complete control over. And that is reviews. A positive online reputation can go a long way at improving your local rankings. Of course, you can’t force patients to review your practice online. You can, however, encourage them to (depending on your jurisdiction). 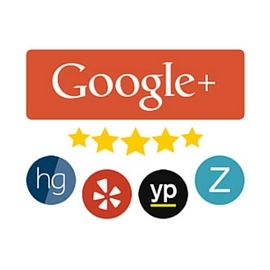 Sources like Google, Yelp, and Facebook can have a substantial impact on local rankings. Be careful: Learn how not to get dental patient reviews in one of our previous blog posts. While link building has lost some of its bluster over the years, it’s still a powerful ranking signal. As long you’re acquiring links naturally. The key is to earn them. Long gone are the days when a consultant can make a few tweaks and artificially inflate search engine rankings. In fact, those techniques run counter to Google’s policies, potentially getting such sites banned or severely crippling their rankings. Because so many website owners hired consultants to “game” the system, Google is placing more value on what website visitors actually do on a website. That’s why Google algorithm changes seem to have placed greater emphasis on user engagement. For instance, a high rate of website clicks in Google results could provide better rankings. To improve your click-through rates, try tweaking your page titles and descriptions. Website engagement metrics also seem to impact local search rankings. That is, the journey visitors take after landing on your website. Do they immediately click the back button? Do they visit multiple pages on your site? It’s crucial to have compelling content and a website design that keeps visitors engaged. This, combined with a stellar local SEO strategy, can produce a host of new patients for your practice. Want to learn more about local dental SEO? Click below to learn how Smile Marketing optimizes dental websites for the most productive new-patient-producing keywords. « Collins Street Dental – New Website Just Launched!